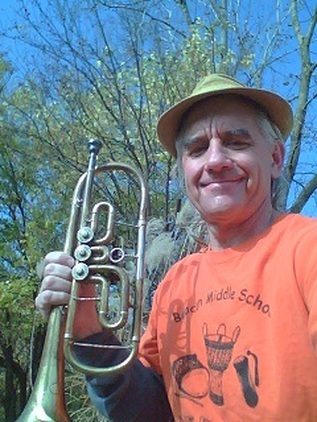 Ken Kozora grew up in an encouraging musical family environment and an excellent school music program earning scholarships to study trumpet under classical music greats Donald Green (principal-Detroit & Los Angeles Philharmonic), R.J. Kelley (world renowned natural horn soloist) and later with Irving Sarin (principal-Pittsburg & Israel Philharmonic). For those who think and learn in a different way! Ken works with beginners through intermediate trumpet students, helping them to develop and hone very important foundations of technique, tone, rhythm, reading, general musicianship, responsibility, creativity and positive mindedness towards music and life. His students have shown great progress with his facilitation, are well prepared for solo/ensemble, contests/auditions/camps and are very often section leaders in their respective groups. Badal Roy, Summer Saha, Sikuru Adepoju, Muruga Booker, James Gurley, Airto Moreira, Giovanni Hidalgo, Jim Donovan, Steven Kent, Don Was, Harry Sargeous, Gayelynn McKinney, Perry Robinson, Mark Whitecage, Rossane Lavine, Peter MadCat Ruth, Halim El-Dabh, Michael On Fire, P-Funk members, Christina Sears Etter/People Dancing Co, Margaret Parker, Mike Gould, Leslie Sobel and more. Ken's latest CD Music for Lasers was commissioned as the soundtrack for Mike Gould's laser art installations at Alden B. Dow Museum Science and Art, Ann Arbor Hands on Museum and 2014 Delectricity festival. His soundtrack for Margaret Parkers' Dream House sculpture/film installation was featured at Ann Arbor Film Fest in 2012 and at 555 Gallery in Detroit in 2013. He has been Musical Director/Composer with People Dancing Co. since 2008. Ken's music will open and close the soon to be released international Global Water Dances documentary and he's also featured along with composers Robert Spalding Newcomb and James Aikman in a brand new music/art film highlighting their outdoor concert at Michigan Botanical Gardens. As an educator Ken works with diverse populations. He worked with educational organizations, manufacturers, retailers, K-12 and University educators to promote and integrate the use of electronic instruments and software into schools throughout Michigan in the 1980's and 90's. He is currently on the Performing Arts faculty at Washtenaw Community College teaching electronic music sequencing, presents at conferences, facilitates group drumming, works with emotionally impaired children and special needs populations, presents STEAM demonstrations for schools, teaches music appreciation for seniors, conducts creativity/motivational workshops and teaches and consults privately. Community and environmental activism are important to Ken who founded Horns for the Holidays, an instrument recycling/donation program for underprivileged children, and has distributed close to 500 instruments since 1996. 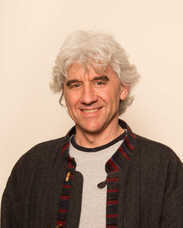 He is a former board member of Riverfolk Music & Arts and currently serves on committees with Ann Arbor Arts Alliance. He worked for many years with Ecology Center in Ann Arbor (and often powers his solo act with solar panels) He also likes to mangle photos with his computer in his spare time and call it art!